At every pivotal moment in history, teenagers have led society’s advancement and championed social change. Young people, just like us, have always worked together to forge progress forward to build an ever-expanding equitable, just, and safe world for all people. Every generation met the challenges of their time to secure a better tomorrow with each new day. AZA & BBG, this is our moment to join with all teens and lead. On behalf of BBYO’s global movement of 80,000 Jewish teens, the Grand Board of the Aleph Zadik Aleph and the International Board of the B’nai B’rith Girls declare all students have the right to learn, play, and grow without any concern of harm or threat of violence of any kind. School safety is not a political issue. We expect our nation’s leaders to take every action to ensure schools, and all community spaces where young people gather, are free from danger. We implore our peers to take part in our country’s democratic process to guarantee our voices are heard regardless of whether you can vote yet or not. The most powerful tool any citizenry has is to be engaged. Now more than ever, our ‘say’ - by ballot or rally - has immense value and great power. The world is listening. Over the coming days, we will mobilize around the country to demand action from our leaders. There are numerous ways you can make an impact. This site is our organizing platform that highlights efforts underway across the Movement and helps guide a variety of actions any member, chapter or community can take to get involved. We want every Jewish teen who feels passionate about this issue to help drive this initiative. The most important thing to do is engage. Talk with each other. Use the AZA & BBG platform to share your message and plans. As always, we’ll learn from each other and rally together to maximize impact. As our momentum builds, the AZA & BBG International Network will post information to our new Facebook Group (#TogetherWeWill) and update via BBYO Insider on Facebook, Twitter, Snapchat, and Instagram. To our brothers and sisters beyond the United States, this call to action is for you too. Worldwide, teens are rising up and demanding change. Connect with your elected leaders, register to vote in your countries, and fight to remake the world as you believe it should be. Change is coming. Together we will. THIS IS MEANT to be a platform from which every jewish teen can work together to lead. Working alongside NCSY, NFTY, USY, Young Judaea, the broader Jewish community, and national teen activism networks, we’re gathering resources to help you build awareness, engage elected officials, hold town halls, and pursue changes in policies in communities across the United States. We are starting to post these guides on this site, in our Facebook Group (#TogetherWeWill), and we will continue to expand the library of tools as advocacy efforts mature over the coming weeks. On March 24, AZA & BBG will be marching at events across the United States and around the world. For those Jewish teens - affiliated with AZA, BBG and BBYO or otherwise - coming to the national ‘March for Our Lives’ on March 24, we are preparing a few moments that you can opt into throughout your visit to Washington, D.C. The AZA & BBG International Boards will host a call on Sunday, March 11 at 4:00 PM EDT to share updates on teen-led efforts and to gather additional ideas from teens across the Movement as to what else we should be doing on this issue (for both the short-term and long-term impact). If you care, your friends will care, your chapters will care and your communities will care. Over the course of the next several months host program experiences that will engage your peers and inspire them to pursue change. 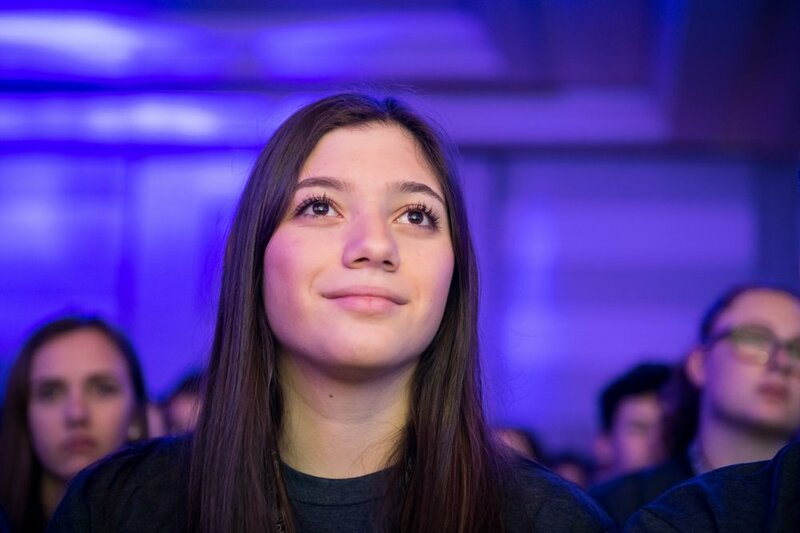 Explore tools and templates for chapter programs, convention activities and other BBYO experiences as well as simply great projects to organize with all teens in your local communities. we demand change. join us.